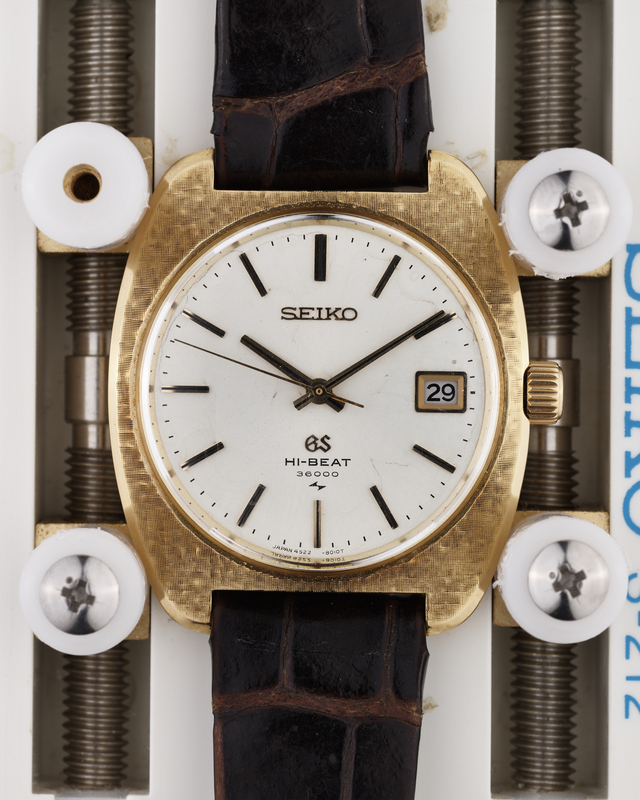 With its stunningly textured solid 18K gold case, the 4522-8010 is a highly sought after and collectible vintage Grand Seiko reference. 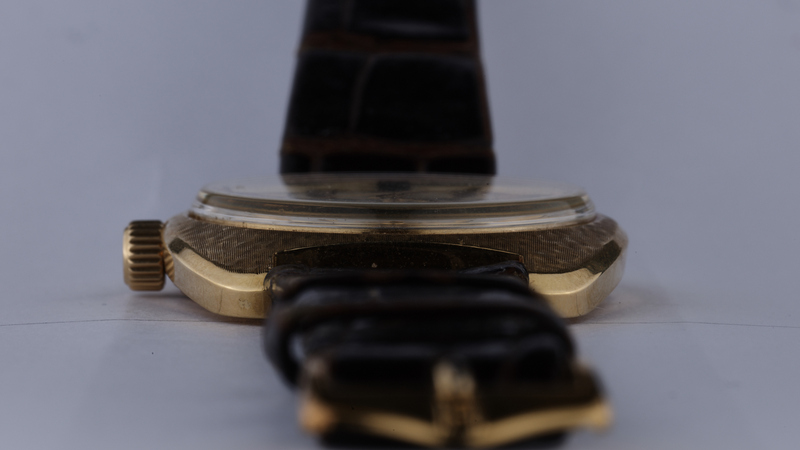 The case is actually the same as that to be found on the legendary 4520-8020 Astronomical Observatory Chronometer (“AOC”), but there could be no confusing the two watches even from a distant cursory glance because their dials are so different. 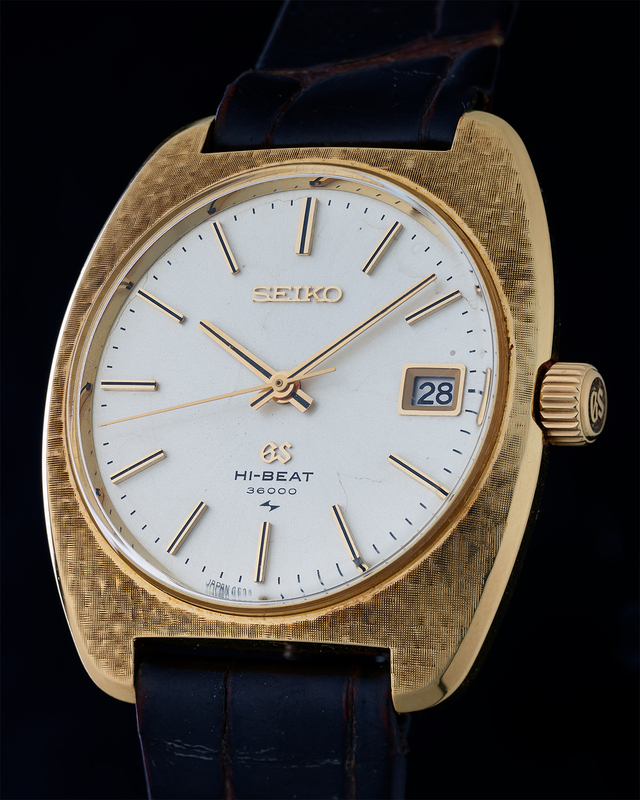 The reference was introduced in 1970 at a price of 145,000 Yen. 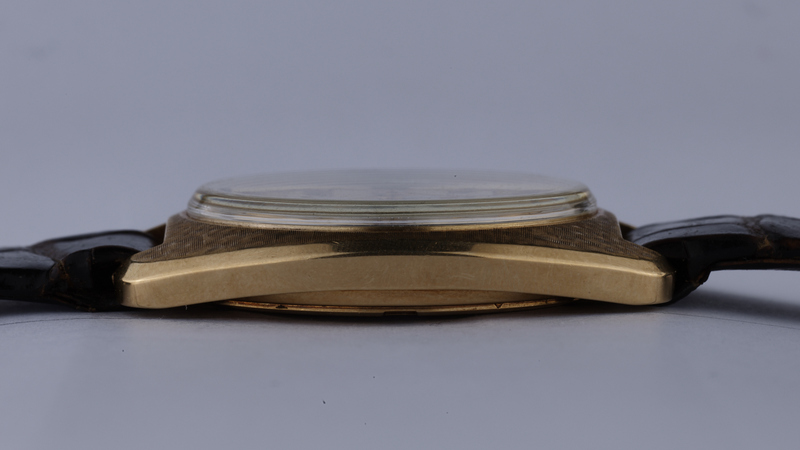 The example presented here is in excellent condition – the case shows little to no signs of polishing, with the case back retaining its subtle circular brushed finish. 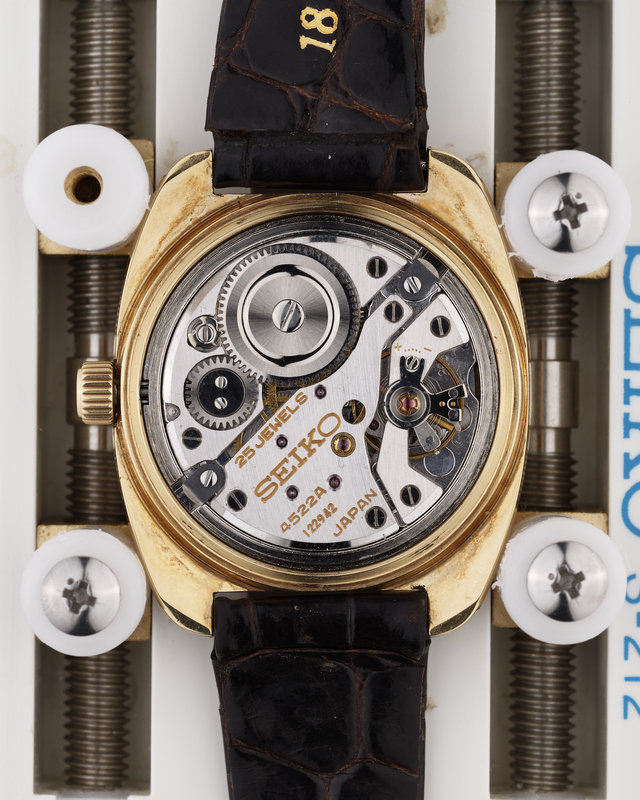 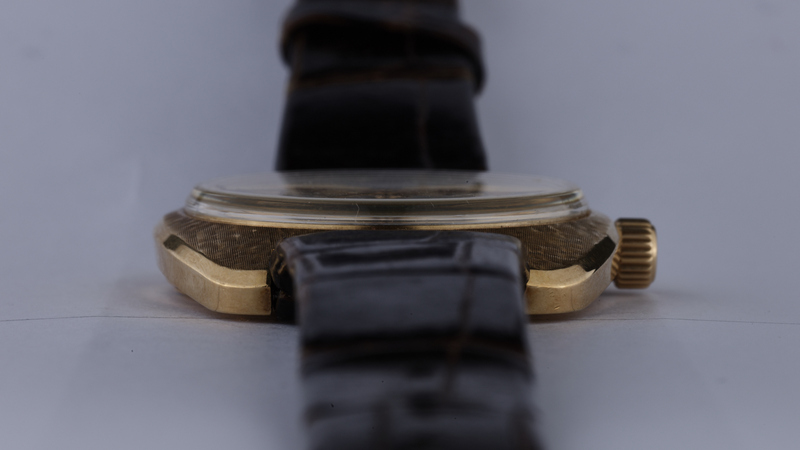 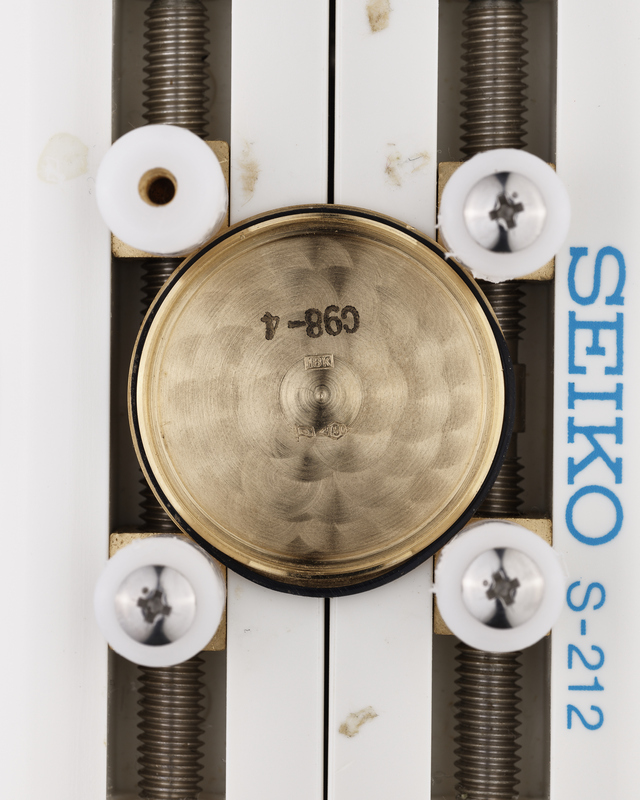 The linen texture to the front side of the case remains strong and well defined, with the factory polished surfaces of the case showing only minor signs of wear. 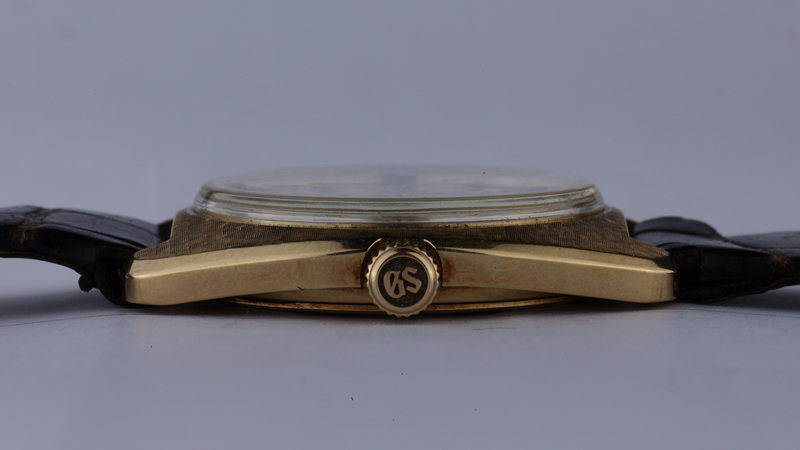 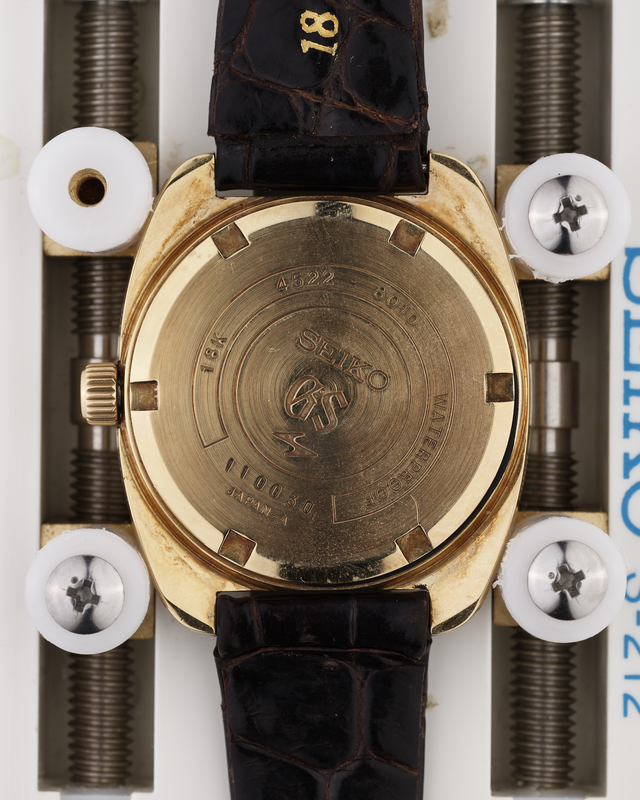 There are a couple of minor stains on the dial that can be clearly seen in the accompanying photos.